Mixing Containers | Smooth-On, Inc. 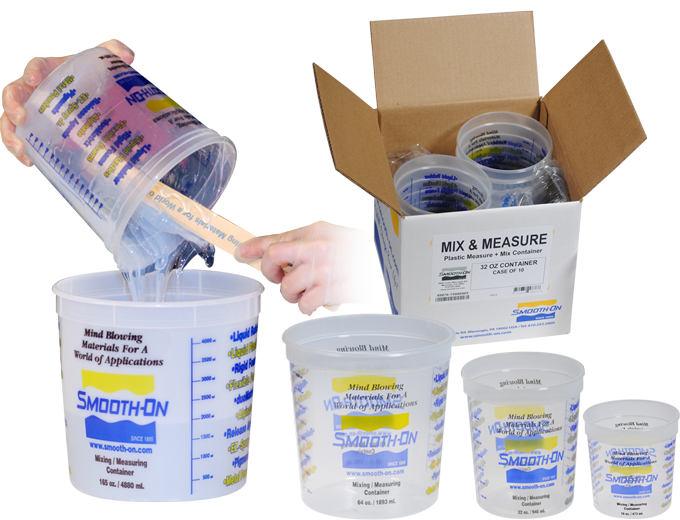 Plastic mixing containers with graduated markings for accurate measurement of materials which are measured by volume. Packaged in cases of 10 or 100 containers. 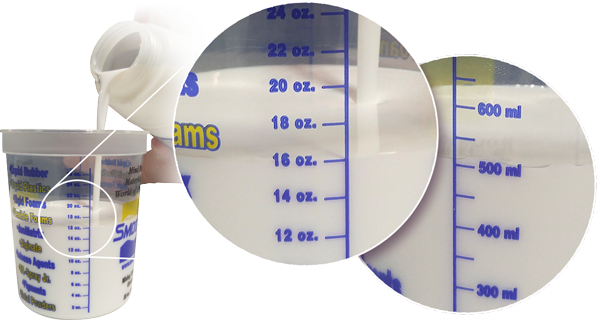 Clear markings allow for accurate measurements by volume of liquid resins and rubbers as well as powder materials or fillers.